Because Friday is Independence Day in the States, we're having the July Jelly Roll Party at Ruth's Stitchery on Thursday this month. 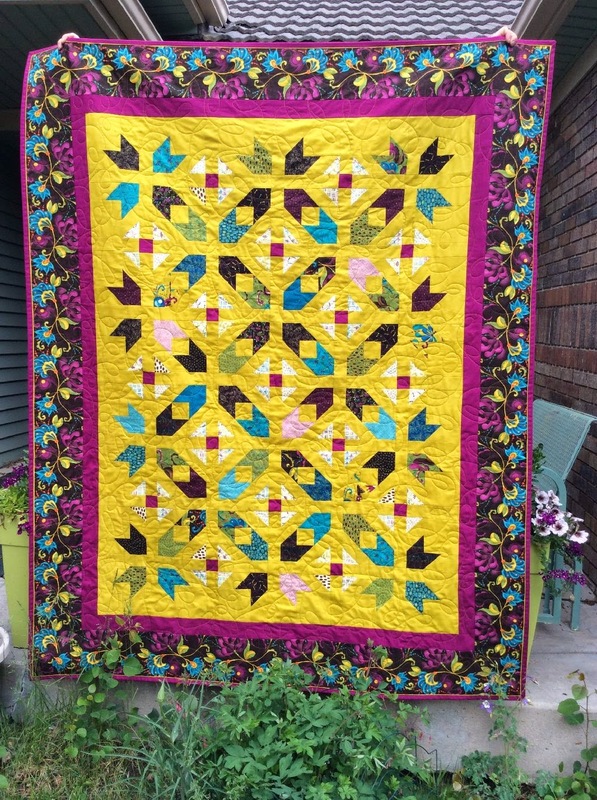 I absolutely, positively love the way this quilt turned out! 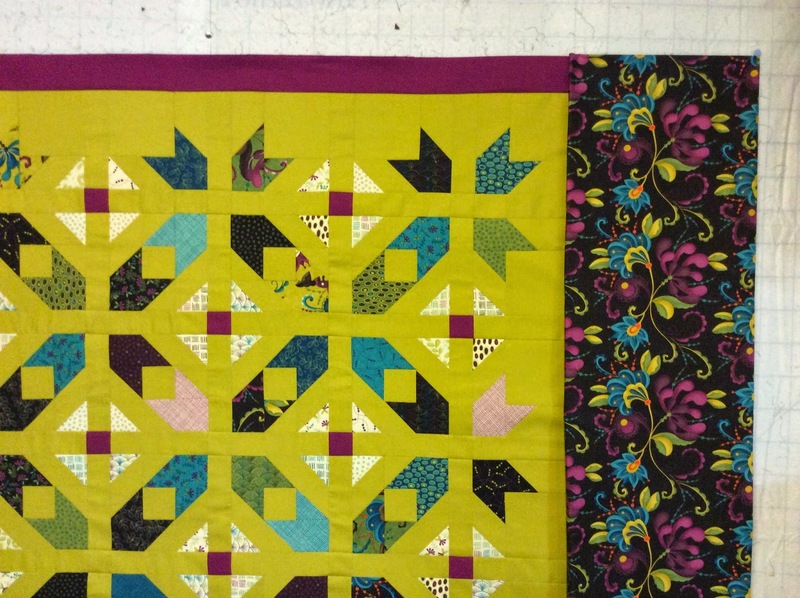 The Fabric is Soho Chic by Sandy Gervais for Moda, the pattern is Galaxy by Cozy Quilts. 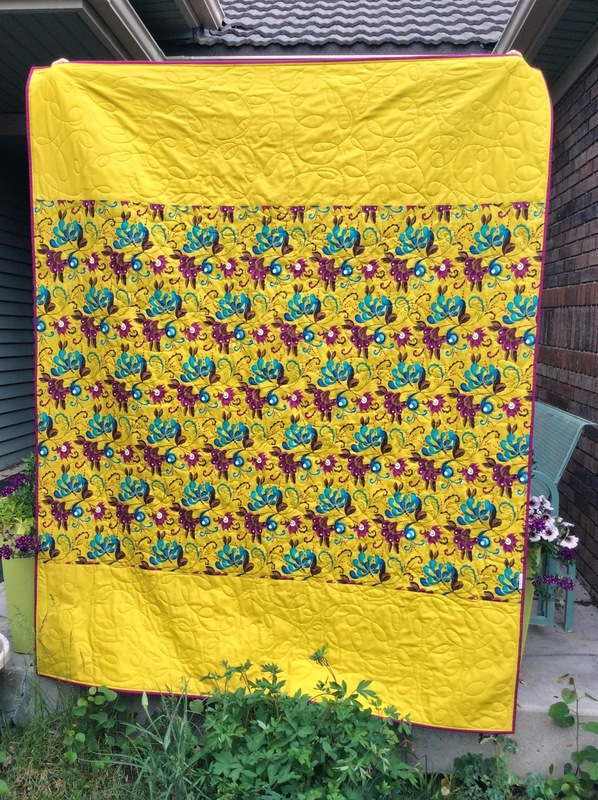 There was some discussion on Instagram as to whether I should use the brown print or the chartreuse print for the outside border. In the end, I chose the brown, because that's what the DH liked better. 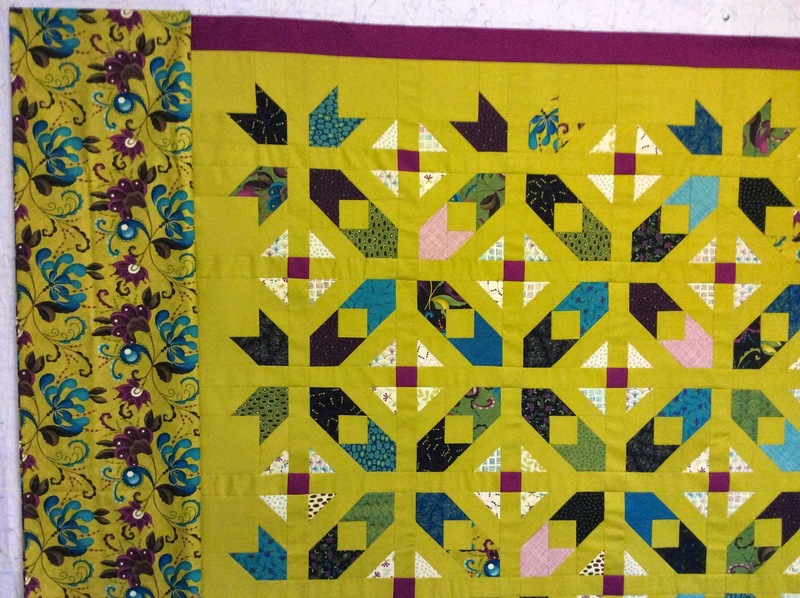 I had lots of the chartreuse print, so I used it for the backing. Not quite enough for the entire back, so I added a strip of Moda "Citroen" at the top and bottom. 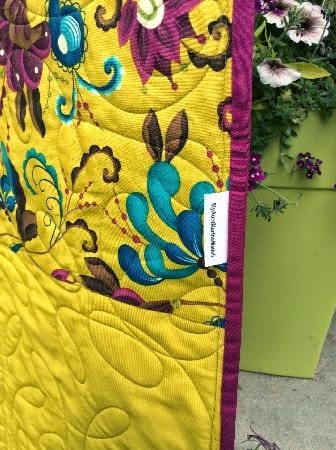 I quilted it with a "lazy loopy" design and of course, added a "My Aunt Martha Made It" label! Lovely! and if DH has to hold it for a picture - he can choose!! I love them both - a fab print. Oh, wow! This is just beautiful! Fantastic! Great combination of modern and traditional. And it looks like a few extra shoo-flys, but I'm betting those are actually sashings and cornerstones.? That turned out just terrific with the brown-based border!